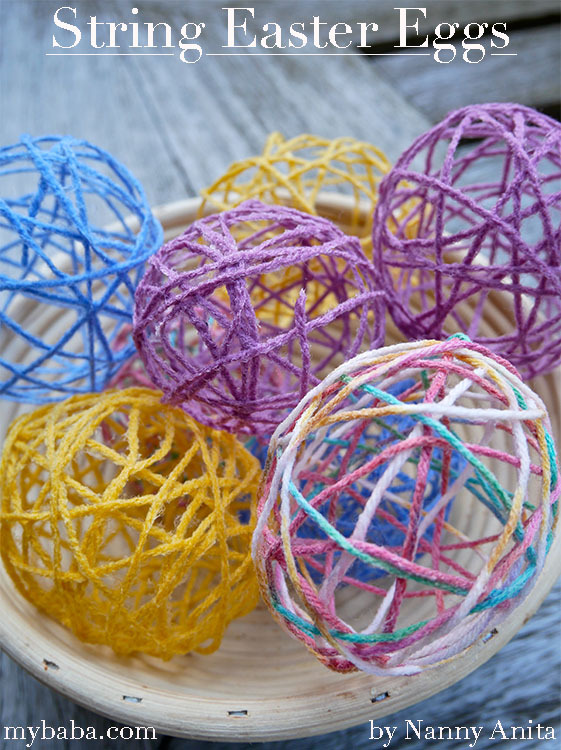 Making string Easter eggs is very simple and they can be used for a whole variety of things. 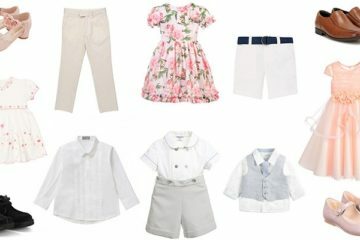 You can use them as decorations around the house, or as a centre piece for your table. 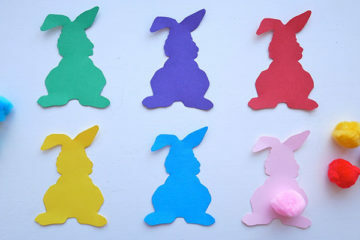 Or like use you can use them to hide clues in for an Easter egg hunt. 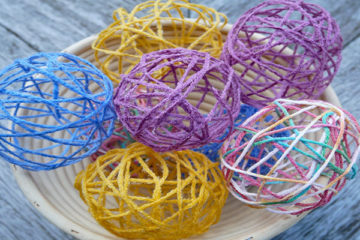 Making string Easter eggs can get very messy, so make sure you have everything set up before you start. Start by blowing all the balloons up. I am pretty terrible at tying off the ends of balloons so I used loom bands to tie them. 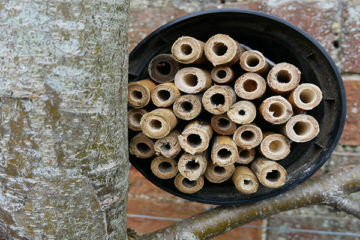 Also make a mixture of water and PVA glue in your bowl. Next you need to cut your length of wool to wrap around the balloon. I also cut a small length to use at the end to hang the balloons up with so the could dry. When everything is ready, take your first lot of wool and soak it in your glue mixture. 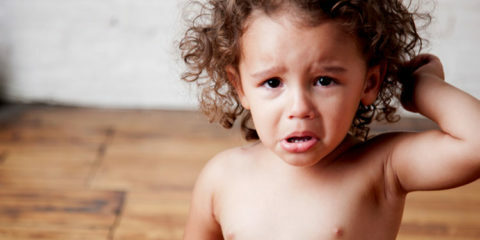 Then start to wrap it around your balloon. Make sure you take off any excess glue from the wool as you go. This makes things slightly easier when you are separating the wool from the balloon. 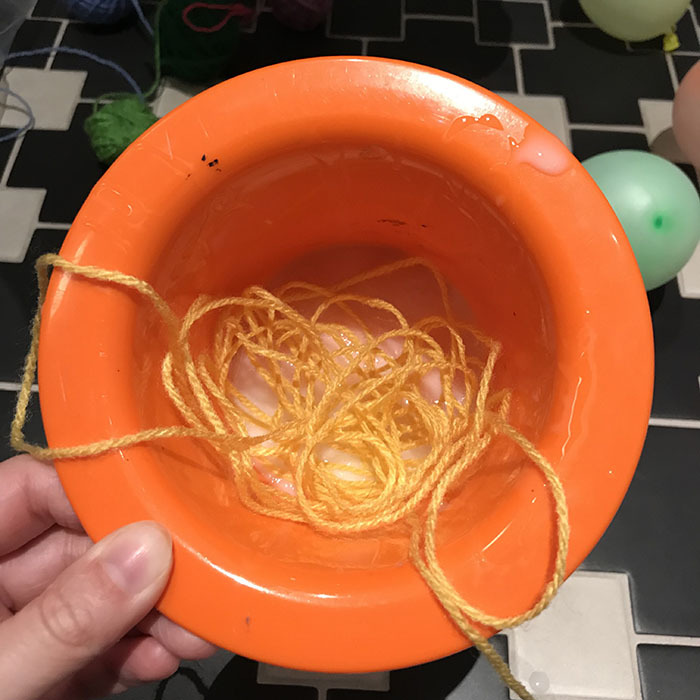 After you have wrapped the wool around the balloon, take one of the small strands of wool and attach it to the end of the balloon. You can then use this to hang it up to dry. 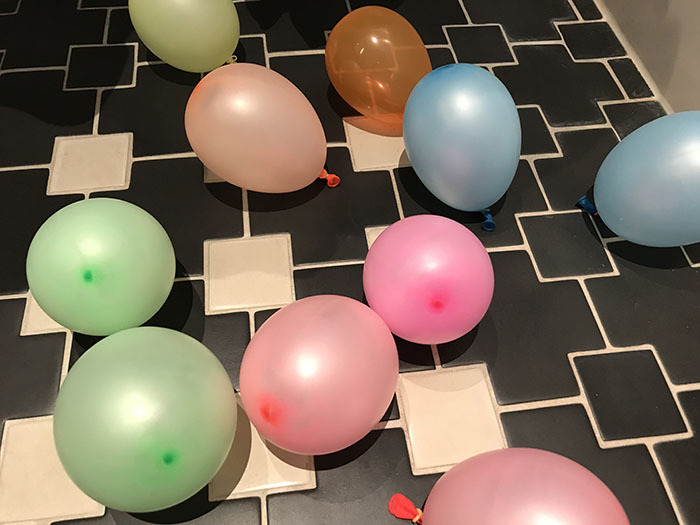 Leave all the balloons to dry over night. When they are completely dry, carefully cut a hole in the balloon to deflate it. If you find that the wool is still sticking to the balloon as it deflates, then I recommend trying to loosen it before cutting the hole. I used a craft stick to separate the wool from the egg, which worked really well. 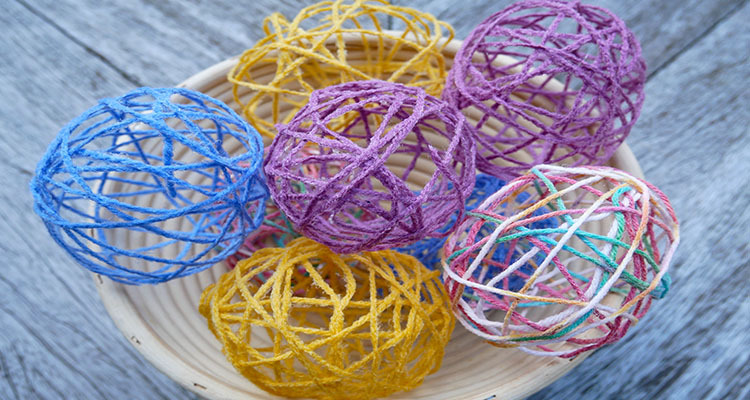 As I said at the beginning these string Easter eggs can be used in a variety of different ways. We are using ours for an Easter egg hunt on Easter morning. 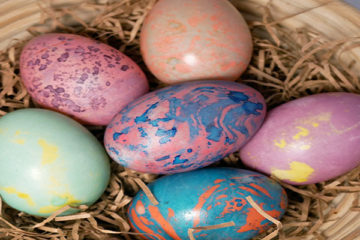 Each egg will contain a clue. 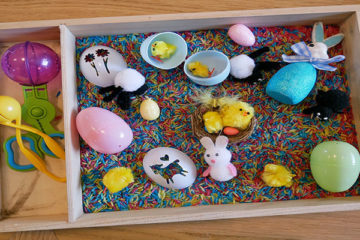 The children will then have to find each egg to figure out the location of their eggs. We haven’t actually done it yet, but that’s the plan anyway. 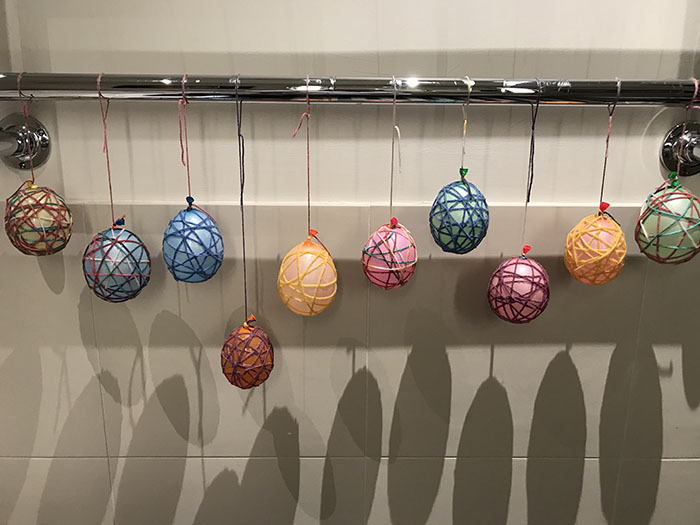 If you enjoyed these string Easter eggs be sure to check out my Easter egg puzzle hunt and message in an egg hunt.